Hope you have all had a relaxing break this long weekend! We made the most of each day over the Easter break especially because of the glorious weather here in Sydney. Jeans and knits were my staple pieces for the holidays and I’m beginning to notice an array of these in most stores for Autumn’14. 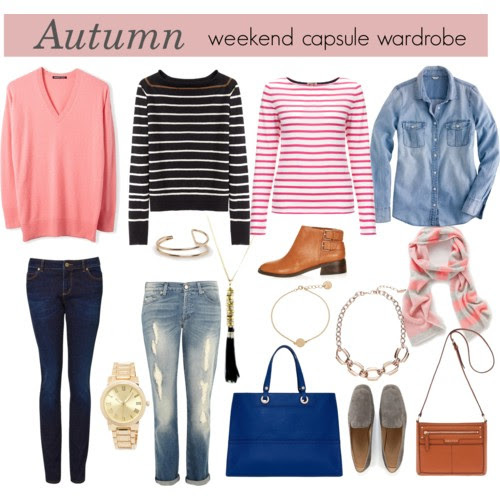 I have put together a wearable easy to style capsule for Autumn weekends. Relaxed, chic and simplistic styles were my main considerations while putting this together. The individual pieces are classic ones and will have a very high repeat value for most women! The accessories too are simple, delicate and will add that extra bit of posh to an otherwise ordinary jeans and tee look. 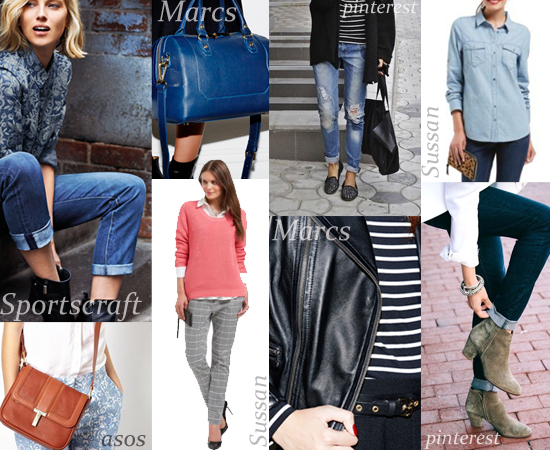 You can create more styles with these pieces to your advantage and liking. The stripes, the dark wash, pink, indigo and tan all blend harmoniously and are very much on trend this season. Here’s some brand analysis and inspiration from the current season campaigns.